Splash about, drink cocktails and dance to DJs. 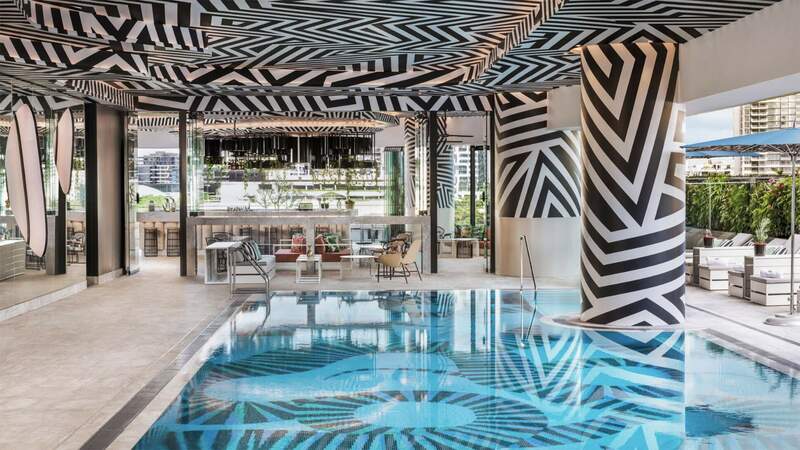 Pool party season keeps on keeping on at W Brisbane, with the opulent hotel nudging everyone into the water with another huge shindig in their fourth-level rooftop pool and wet deck area. At the latest of the venue's Summer Crush Pool Parties, you'll take a dip, sip drinks and dance the afternoon and evening away, all with a massive view over the river towards Mt Coot-tha. And, given Saturday, February 16 is just two days past Valentine's Day, there'll be a romance theme while you're making full use of that gorgeous vantage. When you're not admiring the scenery or plunging into the pool, you'll listen to tunes spun by Riki Lee and a yet-to-be-announced headliner. You'll also knock back refreshing cocktails while feasting on a summer barbecue. Tickets cost $25 online in advance and $35 at the door, which includes a Chandon 'S' cocktail on arrival — and as for the rest of the food and drink spread, it's a pay-as-you-go affair. 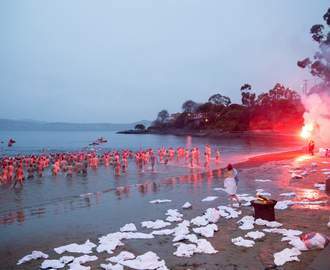 The fun starts at 3pm, runs through until 11.30pm, and bringing your togs is obviously essential.